Robinson has some new bits (again). New M handlebars, Ergon GP2 handgrips & a handlebar brace have gone on, replacing the P handlebars originally fitted. So, Robinson is now my “2013” M6R, being upgraded from a “2012” P6R (which started life as a 2008 P3R). 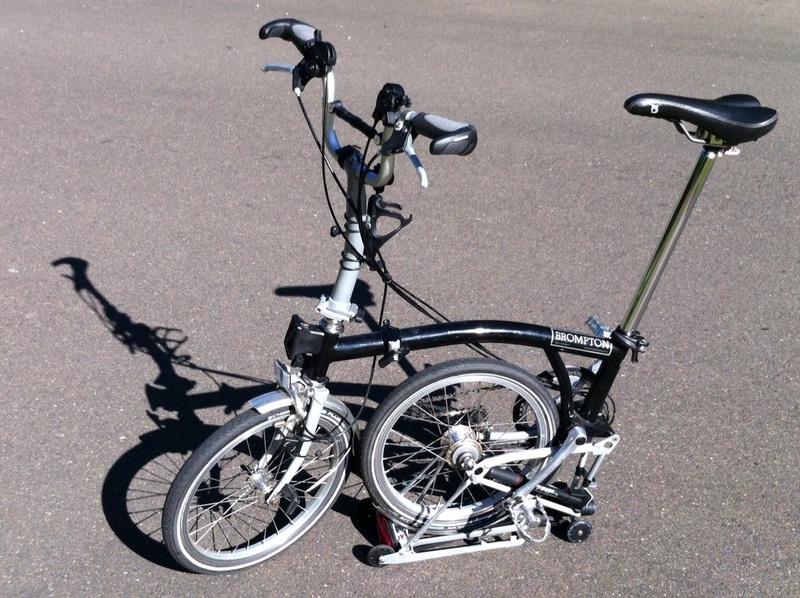 With Ralph being my usual Brompton (an S11L running an Alfine 11speed transmission) the upgrade for Robinson came about once my wife started getting used to Robinson in preparation for our trip to the UK (& BWC appearance). “Flex” in the bars & “uncomfortable hands” were the feedback & so it was time to act (especially before my wife go too attached to Ralph?). The P stem was retained & everything seems fine with the folding but I’ll need to keep an eye on it, in case I’ve missed some potential issue? I’ve also reversed the saddle Pentaclip to ease the stretch to the bars. Riding the new Robinson seems really good (but I do prefer Ralph) & the Ergon GP2 hand grips (on both Bromptons) are very comfortable. Bring on the BWC. I’ve made good use of my Keen Commuter II cycling sandals since they arrived last Christmas. I fitted them with MKS cleats & I’m very happy with them for cycling. What I wasn’t sure about is how they’d go for their “other uses”? 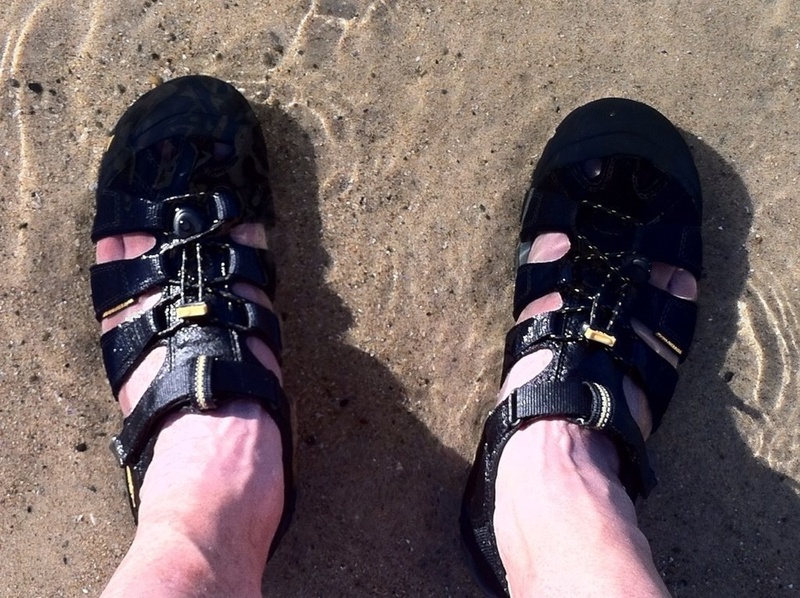 That is, bush walking & beach wear (after all, when I’m traveling – especially in our VW T5 Campervan – I want to minimise the variety of footwear I carry).